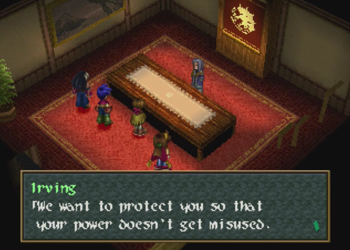 Previously on Wild Arms 2: Man, you got me. There are 32 parts to this thing? And I ignored it for a year? Crap, I’m going to be lucky if I remember these dudes’ names. 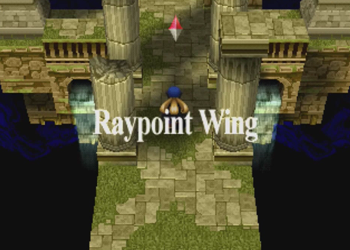 Raypoint Wing? Is that… is that the vampire girl? Can she fly? 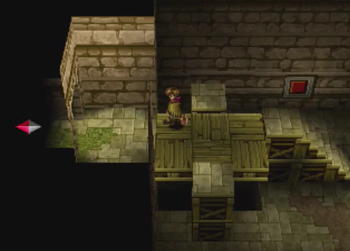 Oh, right, we’re at one of those reyline dungeon thingys. 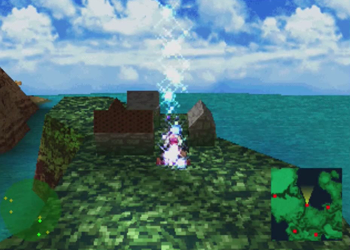 There are four elemental dungeons that can be completed in (kinda) any order. Here’s the first one. 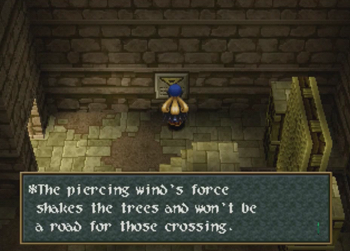 It’s wind themed. 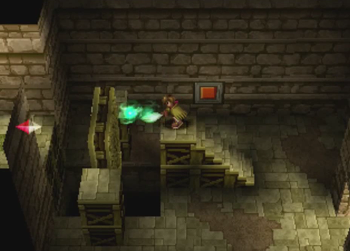 Each of the dungeons also corresponds to a character and their spiritual journey. And their tools. Tim already has a wind wand, so he’s up. Posted by gogglebob. Categories: Wild Arms 2: What in Blazes. Tags: alby the dog, Colette Mapleleaf, dungeon theory, Lilka Eleniak, Merrill, optional guardians, pooka, Tim Rhymeless. 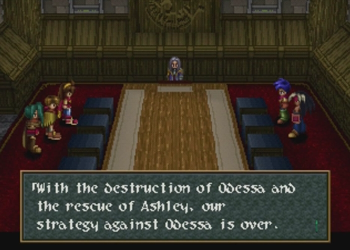 Previously on Wild Arms 2: Ashley fought his way back from the darkness with the help of Marina. And just Marina. To be absolutely clear: nobody else helped. At all. I don’t think we get a distinct timeframe for Ashley’s absence, but let’s assume that it’s been a while since Irving said that. Posted by gogglebob. Categories: Wild Arms 2: What in Blazes. Tags: Ashley Winchester, Colette Mapleleaf, Irving Vold Valeria, Kate & Amy, let's play, optional guardians, pooka, Stain Paradigm, Tim Rhymeless, Tobor: The Refrigerator That Walks Like a Man, wild arms. Previously on Wild Arms 2: ARMS fought through a dungeon that told them about their next four dungeons. 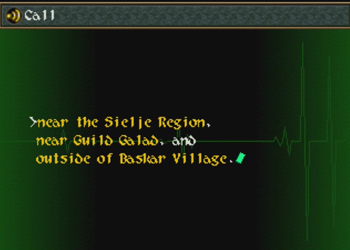 I guess they were pre-dungeoning? Oh, and Brad is back, too. That’s super! 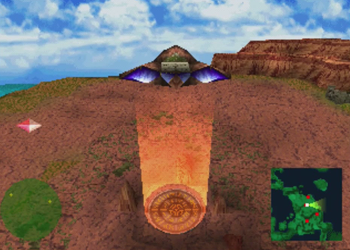 But now we’re searching for the four Diablo Pillars. Where are those, again? I was considering doing a poll regarding “which Diablo pillar should we hit first?” but the truth is that I don’t know where we’re supposed to be going. 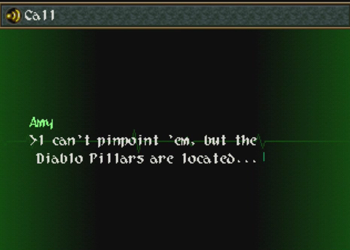 This isn’t like the “choose an adventure” at the start, we have to suss out the locations of each Diablo Pillar. And one of ‘em barely has directions at all. No matter, let’s hit Baskar first, as it’s been a while since we’ve checked in with our favorite runner-up medium. Posted by gogglebob. Categories: Wild Arms 2: What in Blazes. Tags: Antenora Victoria, Caina, Colette Mapleleaf, let's play, Odessa, optional guardians, Ptolomea, wild arms. Wild Arms 2 Part 13: You’re a Wizard, Timmy! Previously on Wild Arms 2: ARMS picked up some random rocks, and now their home base can freaking fly! Vwoooosh! 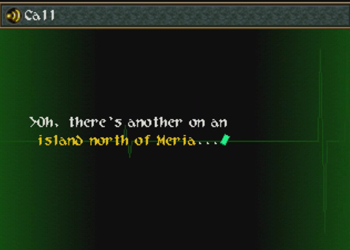 Where can I pick up some ancient technology? I’ve always wanted a mobile Custard Hut. And we also picked up Tim, the little orphan boy that just found out a local castle is airborne and he can talk to gods. Oddly, these two facts are not related. Posted by gogglebob. 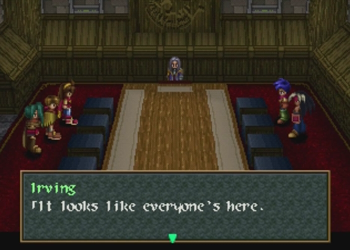 Categories: Wild Arms 2: What in Blazes. 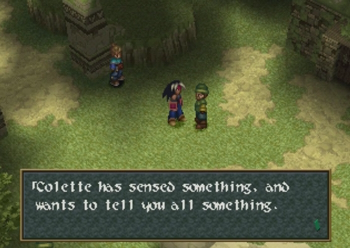 Tags: Colette Mapleleaf, Glaive Le Gable, let's play, pooka, Scott Summers, Tim Rhymeless, Tony Stark, turtles, wild arms.